Da-hae one of the most popular actresses in Korea and debuted in 2001. Da-Hae became famous after starring in several dramas such as My Girl, The Slave Hunters, and Hotel King. She has also done quite a bit of crossover work in China. Well trained in traditional Korean dances, Da-hae entered show business after winning the Miss Chunhyang pageant in 2001. She performed small and supporting roles in South Korean television dramas and landed her first lead role with Lotus Flower Fairy in 2004. She was immediately accepted by the audience, and she went on to win the Best New Actress award at the Baeksang Arts Award for her role. In December 2013, Da-hae filed defamation charges against Internet users who spread malicious rumors claiming she was involved in an upscale celebrity prostitution ring. Prosecutors cleared Da-hae of the allegations, stating that she was not one of the entertainers being investigated. Let’s get know more about Da-hae, the popular Korean Actress! Da-hae is currently not married, but she is in a special relationship with Se7en. Previously, she had dated her co-star from the drama Hotel King, Lee Dong-Wook. They were in a relationship for about a year. Lee Dong-Wook and Da-hae looked incredibly sweet together as a couple. Even now that they are separated, they still maintain a good relationship as friends. According to Lee Da Hae, when the news broke out, Se7en showed concerns and said, “Should we just say that we’re in the process of getting to know each other?” However, she responded, “Our relationship is just that?“, and emphasized that she wanted to be honest. 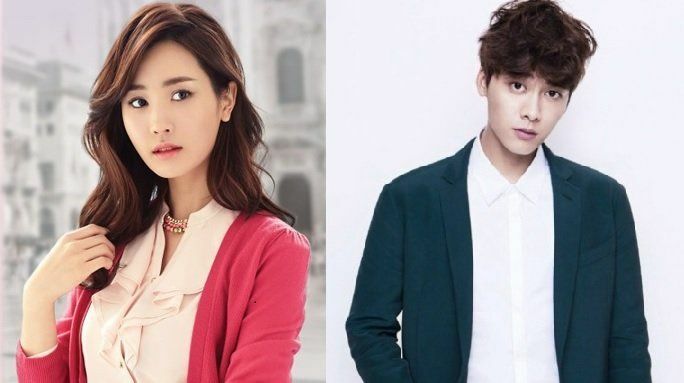 At some point, Da-hae was rumored to have a relationship with actor Li Yi Feng. The two became close after they shot a film in L.A. However, FNC Entertainment and Da-hae quickly disproved the news.